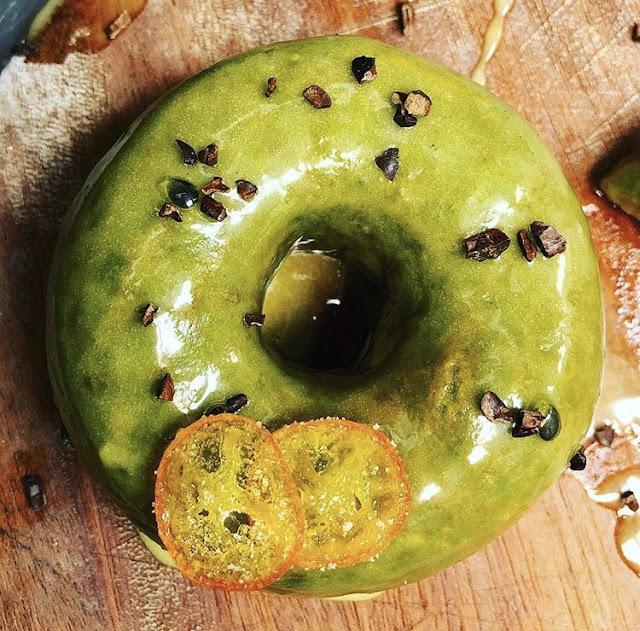 THE UNEMPLOYED EATER: The Best Doughnuts In LA News: Lots of News! The Best Doughnuts In LA News: Lots of News! Courtesy Chef Brooke Williamson's Insta. - Sidecar is launching a truck. Finally, local denizens won't have to brave the Santa Monica traffic and the Costa Mesa lines as the doughnuts will be coming to you. The fried dough slinger on wheels launches in April, with plans to make frequent stops and pop-ups all around Los Angeles and Orange County. For now, the first scheduled parking is set for Brooke Williamson's Playa Provisions on April 28th from 8am-11am. The truck will additionally be available for private events - LIKE MY BIRTHDAY PARTY. - Speaking of Chef Brooke Williamson, starting in April, Sidecar will also be launching a so-called "Celebrity Chef Series." The April participant? Brooke Williamson. Good guess, dude. Brooke, a long-time Sidecar obsessive, is doing a special doughnut similar to the pictured above this post. That's actually from her Instagram during her R&D days and although the finalized fried critter pic hasn't been released just yet, it will be in this vein. Brooke's doughnut: Passion Fruit Matcha, a raised Tenzo-matcha infused ring, topped with a passionfruit and kumquat glaze and candied kumquats. A portion of the proceeds will go to No Kid Hungry. Also joining the Celeb Chef Series in the near future: Richard Blais and Jessica Scott. - Amidst swirling rumors of expansion, Sidecar has finally announced they are, in fact, opening a new location. In September (or so), they will be expanding to Del Mar (12925 El Camino Real). Lucky AF San Diegans. This amidst unconfirmed rumors they're staking out future restaurant space in Manhattan Beach and the Abbot Kinney area of Venice. I continue to hold out for the news they plan to open a location in my kitchen. Fingers crossed.